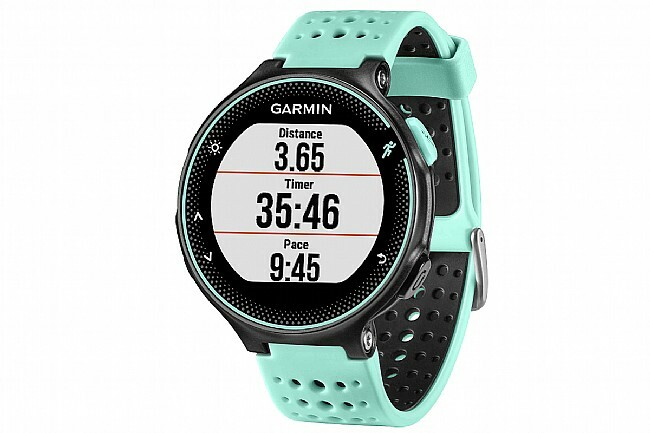 The Garmin Forerunner 235 puts an optical heart rate sensor right into the back of the watch so you can enjoy your runs without wearing a chest-mounted HR strap. GPS + GLONASS reception makes for accurate location measurements even under tree cover or in dense cities, and a built-in accelerometer still keeps track of distance and pace even when running indoors. 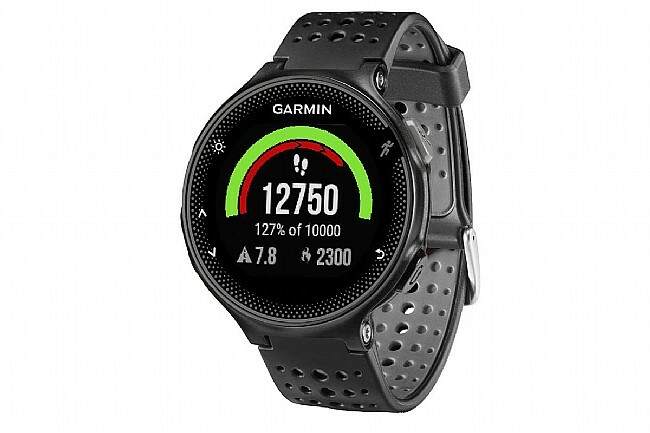 An easy-to-read color display makes it simple to see pace, distance, and heart rate zone in a passing glance, and Connect IQ support opens up the Forerunner 235 to thousands of custom workouts, widgets, watch faces, data fields and apps for personalizing the watch. 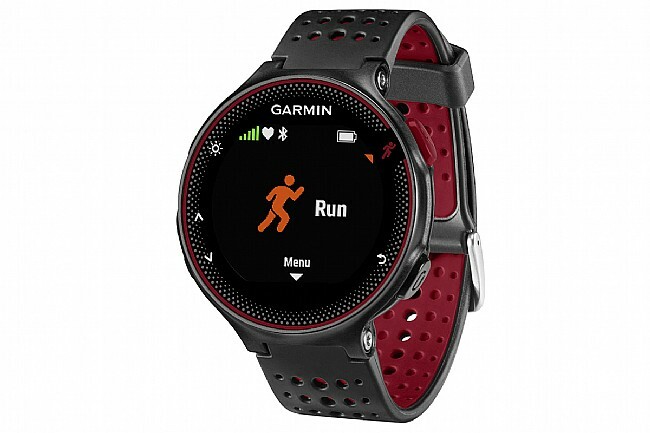 Bluetooth connectivity allows pairing with a smartphone to receive text, call, and email notifications directly on screen, plus the ability to control music playback, and automatic activity uploading to Garmin Connect either by smartphone or WiFi makes logging your runs and rides easier than ever. I have owned a number of GPS running watches. What I want is an easy to use watch that gives me good info without a ton of frustration. This Garmin gives you a lot of info without being over-engineered. It is pretty intuitive, I can get pace, distance and total time without searching for buttons to push. I like the automatic wireless sync feature and other key data afterwards, like the recovery time. I also like that I don't have to wear a chest strap to get my heart rate. It's much more comfortable. The watch is lightweight and easy to read. I am very pleased with it and highly recommend it. My wife uses it for running and as activity tracker.